Holiday Shopping Online. 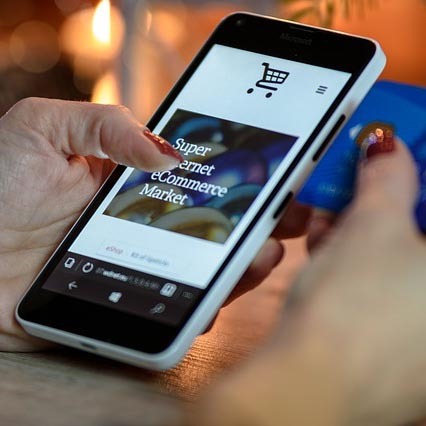 It’s Convenient, but Buyer Beware… - Bryley Systems Inc.
With black Friday just around the corner, many of us are starting to think about holiday shopping. We all love the convenience of being able to be at home in front of a computer vs the hassle of crowded malls and searching for parking spots. You can click here and there and order whatever product you desire and have it delivered to your front door. You can compare pricing, look for deals, compare products, and it all can be done quickly and in the convenience of your own home, any time, night or day. The downfall? Wherever there is money and users to be found, there are malicious hackers roaming around. Use familiar web sites. You need to be aware of the safer online shops, like Amazon. One tactic favored by malicious hackers is to set up their own fake shopping websites. Fake websites can either infect you the moment you arrive on them by way of malicious links. However, the most dangerous aspect you should be concerned about is the checkout process. Completing a checkout process will give cybercriminals your most important information: credit card data (including security number), name, and address. This opens you up to credit card fraud or social engineering attacks. What are some key things to be aware of as you’re shopping? Stay with well-known and popular brands. That way you know what you’re getting by way of quality and price, but you also feel more confident that these well-established names have in robust security measures in place. Odd looking URL’s. If a URL address appears weird or unlikely, it’s probably a bad site and you want to avoid that. A strange selection of brands – as an example, the website claims to be specialized in clothes but also sells car parts or construction materials. Strange contact information. If the email for customer service looks like a fake, it probably is. Always be suspicious if it looks strange to you. Are prices ridiculously low? An online shop that has an iPhone 7 at $75 is most likely trying to scam you. If you take a few safety precautions, you can enjoy the convenience of technology with peace of mind while you shop online.